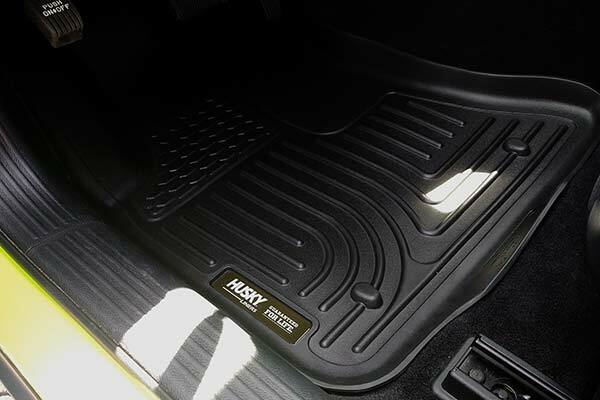 Husky Liners 98211 - Husky Liners WeatherBeater Floor Liners - FREE SHIPPING! Slight issue with shipping but Autoanything took care of it promptly as did Husky. Liners for great and the price was awesome! 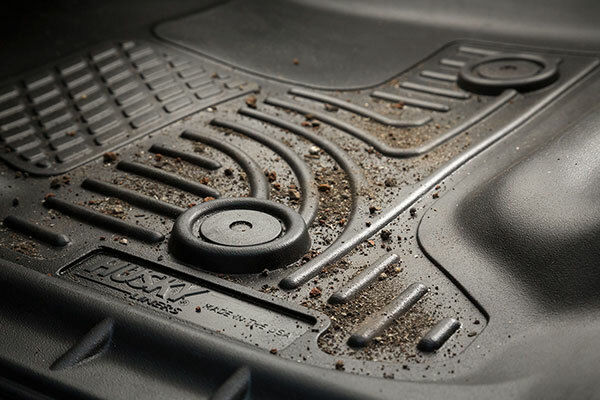 I'd pick these over weathertech every time. Fit like a glove and look great! 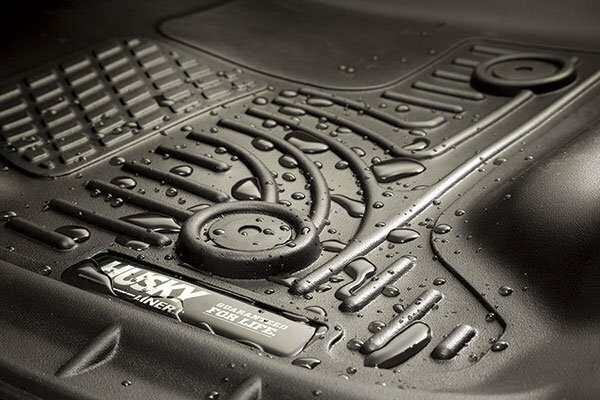 The Husky Weather Beater Floor Liners are a top quality option. They look great fit well and are a breeze to install. The deep sides will catch all I can dish out whether at the beach or in mud, snow or ice. 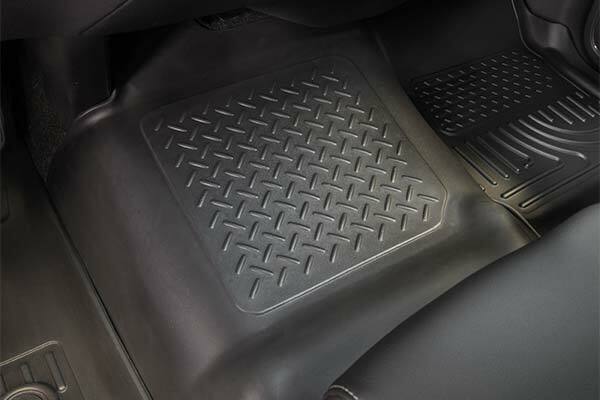 I ordered these for my 2009 GMC Sierra WT model with vinyl floors. 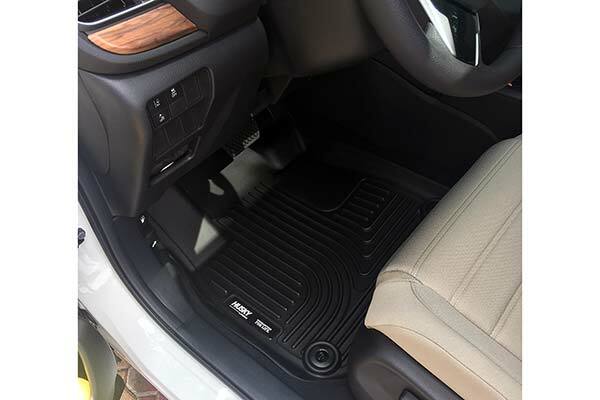 The notes say that these do not work with vinyl floors or the manual 4WD floor shifter (I have both). They work great. They were placed into the truck prior to driving into a snow storm and keep the floor clean of snow and debris. Would recommend them to anyone and everyone. Nice but alittle over priced. 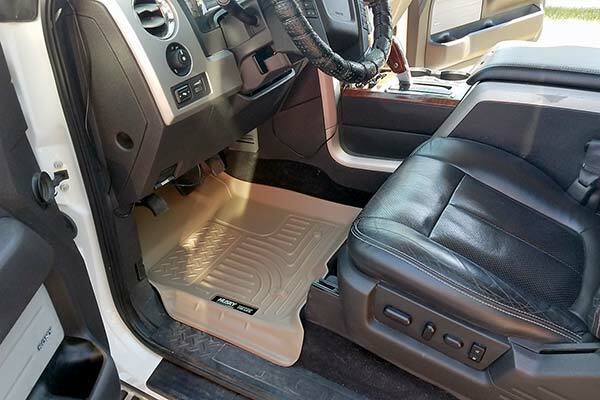 Mats were easy to install fit to the contour of the truck nice. They look awesome. Easy too install. They really enhance the appearance of my truck. Excellent product for the price. Even my wife loves them. Liners give the truck a rugged look along with good coverage on the carpet. Have only had them for a short time, so time will tell on on longevity of usage. 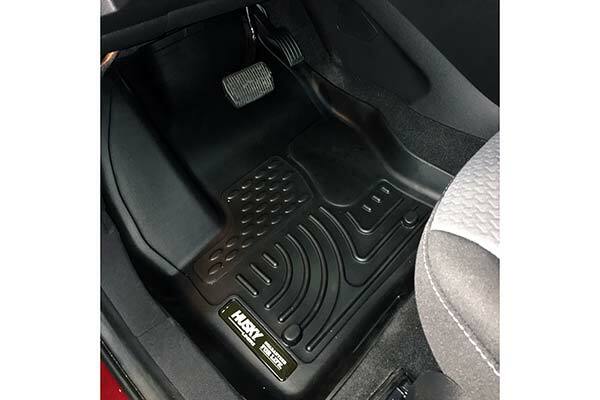 Front mats had a center hump cover mat to choose from which I sent back. Imo it gave the truck a cheaper look and also due to a poor picture for discription which made it appear as though it had a bin holder but didn't. 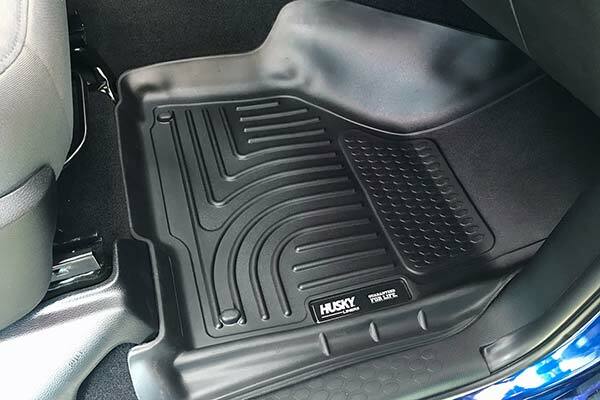 Rear mat covered well as it is one piece. Carpets do stay cleaner. Overall happy with the purchase. 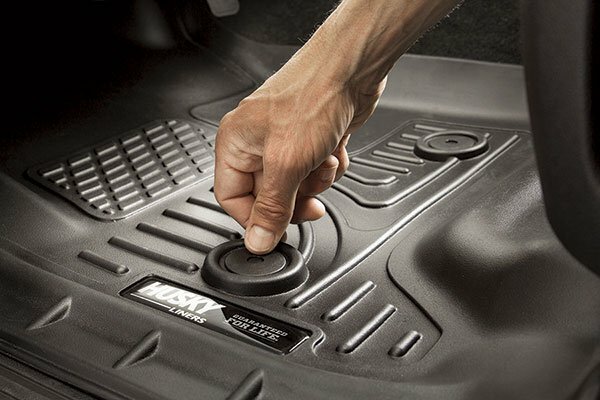 I had a set of these in the vehicle I just traded in. They were great. So, I had to get a new set for the new vehicle. 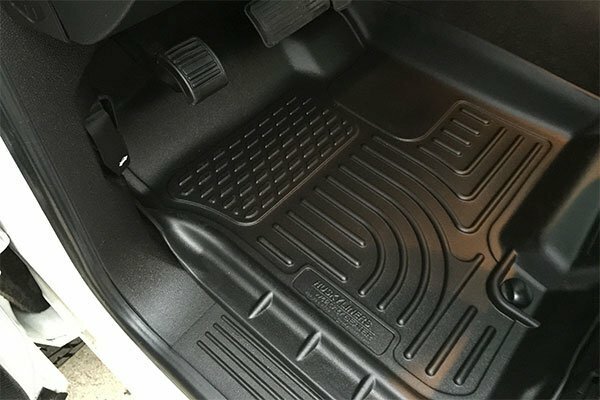 They fit like they were made for my exact vehicle - which they are! They collect sand, dirt, snow, water, spills ... not allowing it to run down into the carpet. They fit high up on all edges and even overlap the door molding. They are a little expensive, but still worth it. 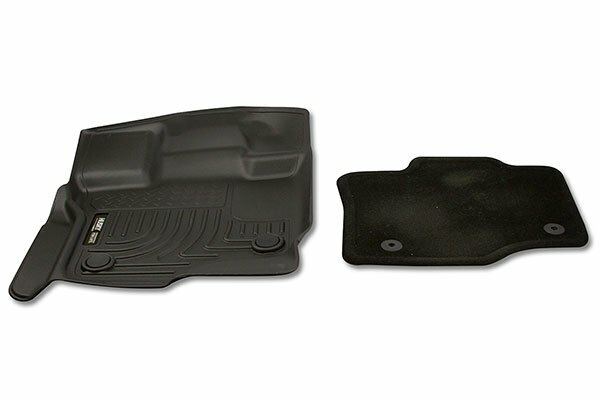 I Bought 2 sets, one set for a 2013 Silverado and one set for a 2013 Equinox for the wife. We are both very happy with the looks and quality of our Husky weather beaters and Autoanything has been the best to work with the pricing, unbelievable fast free shipping as well as great service. Not the first or the last time I will using Autoanything. 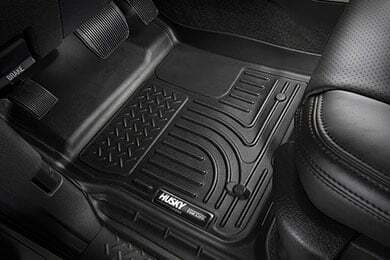 My husky floor mats fit and perform as advertised. They are well made, easy to install and fit the way they should. 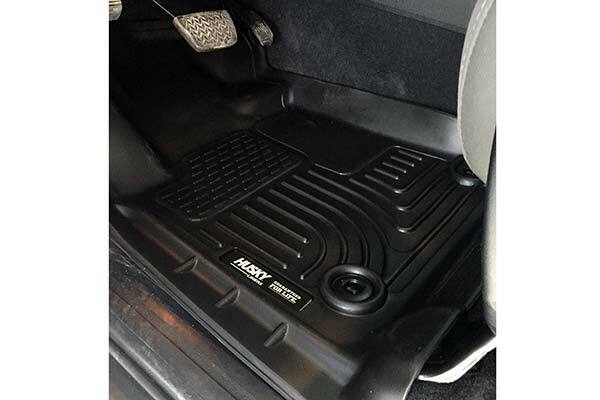 The cost is pretty high, but good fit and keeps the dirt and mud off the carpet which is what I wanted them for. I would recommend. I work in construction and these liners have literally saved my carpeted floors. 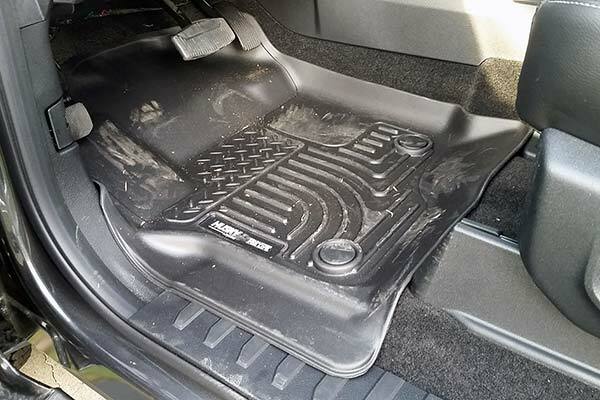 Perfectly molded to my truck floor boards. The WeatherBeater mats went in quickly and easily. They are light, but cover the floor from edge to edge. They fit in all the small spaces. 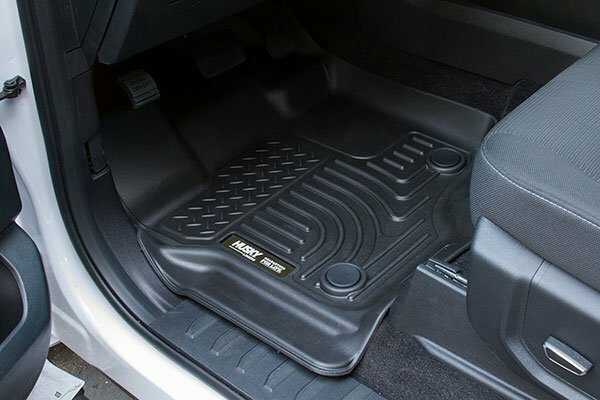 I would recommend these mats to anyone looking for a high quality product. Although this is priced a lot less than the weather tech brand the product is not a nicely finished or heavy duty. I am sure the function will be comparable but fit and trim are not as appealing. 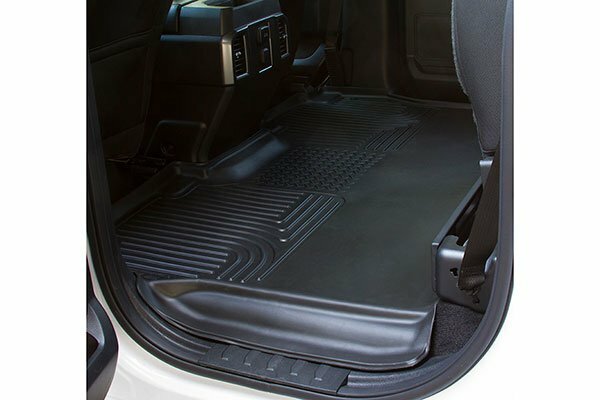 Since I got them for my 5 year old truck I feel the floor liners will be worth having for the the time I will continue to own the truck. I am happy with the quality but had hoped for a fit better. My main unhappiness was with the rear liner. It does not cover as great an area as I would like. It only covers a small area in depth from front to back. 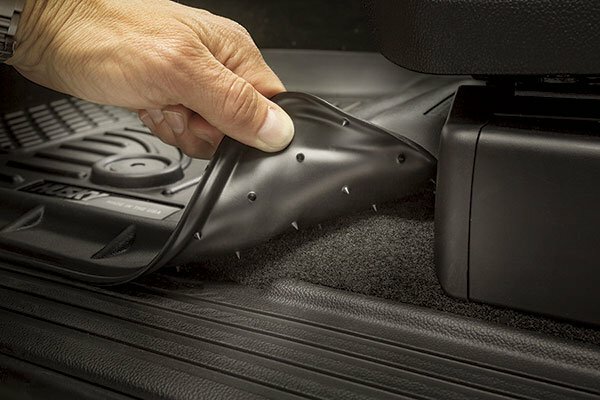 I was hoping that the liner would address the carpeted area more entirely so that when I have the rear seat up the carpet is more protected. I bought these for my '11 silverado. They were made of stiffer material than I expected but cover the carpet well from side to side in the front. 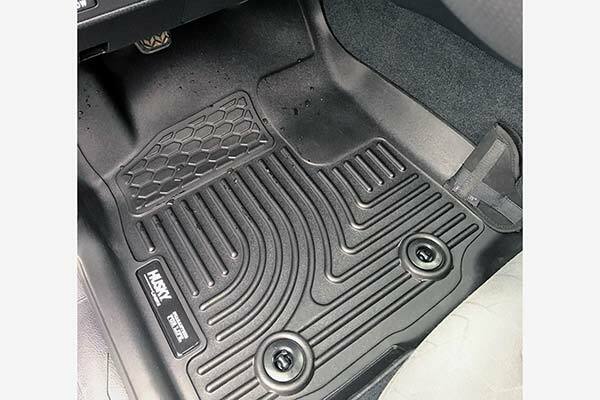 The rear mat is what hurt the overall rating. 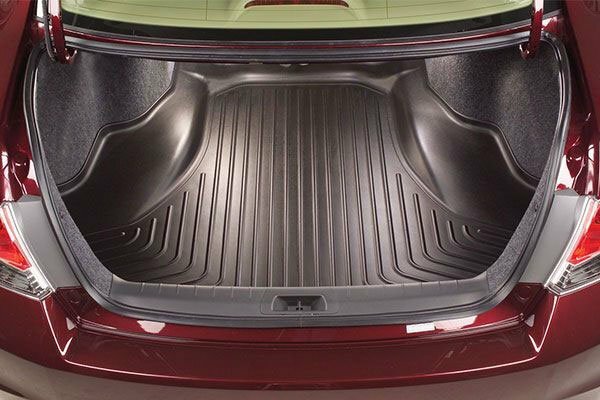 The back is pretty slim and does not cover under the seat at all. 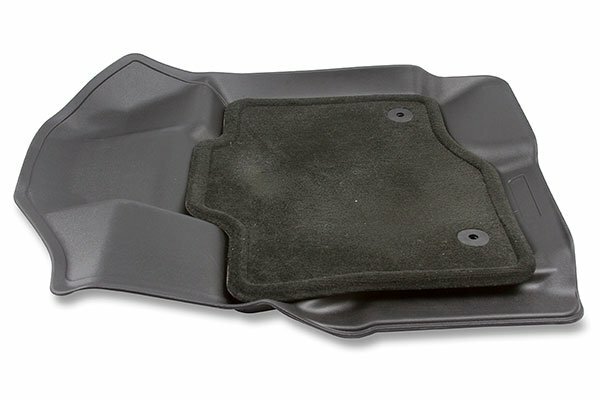 I got these for my '09 Silverado 1500 Extended Cab to try to save the carpets from the mud and snow. They fit great and cover most everything that needs to be covered. My truck is staying a lot cleaner since I installed them and is much easier to clean when it's time. Installation took about 5 minutes total. The only reason I only gave 4 stars in the Price/Value category is because they are a bit expensive for molded plastic. Overall they are still well worth the cost. Easy install, fit very well, look great int my 2013 Silverado. 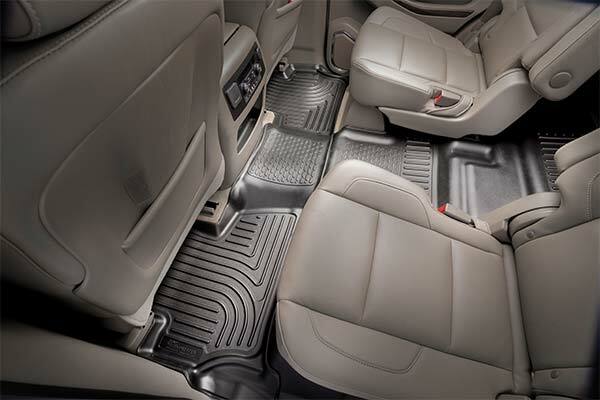 I love these floor liners. I'm in and out of my truck several times a day and live in an area where we get lots of snow. My carpets were always wet or frozen solid. It's great to have water collect on an area that doesn't allow it to soak in. I may get a set for my other vehicles too. Reference # 761-764-209 © 2000-2019 AutoAnything, Inc.